Miramax is an American entertainment company known for distributing independent and foreign films. Founded in 1979, Miramax was a leading independent film motion picture distribution and production company before it was acquired by The Walt Disney Company on June 30, 1993, shortly thereafter Pulp Fiction was released. 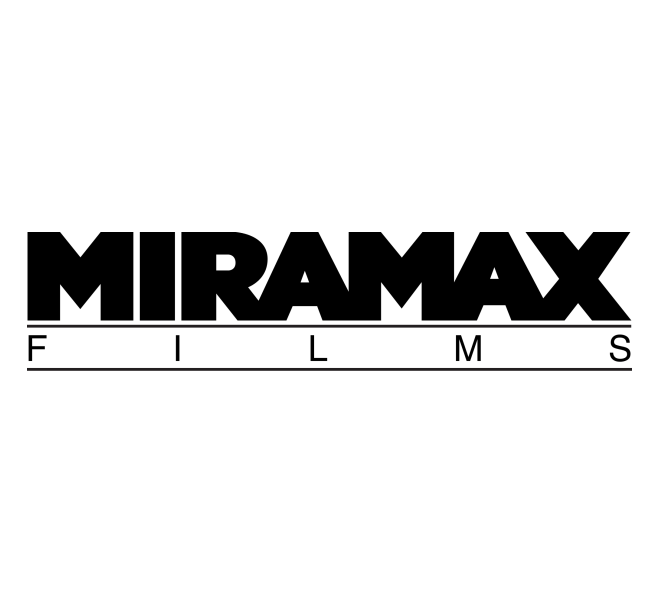 The sans serif font used for the Miramax logo is probably customized. Howerver, there is a fan made font named “Miramax” for you to recreate the logo. The font is created by DeviantArt user 629Lyric and the font comes with a rather complete character set. You can download it for free here. If you do not want to download and install the font but just like to create simple text or logos using Miramax Films Font, just use the text generator below. The following tool will convert your entered text into images using Miramax Films Font, and then you can right-click on the image to save it or click on the "EMBED" button to get links to embed images on the web.